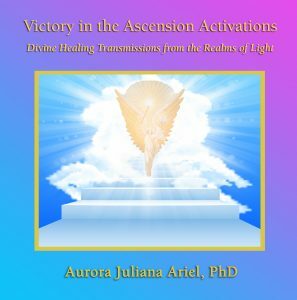 In the tradition of the Oracles of Delphi, whose ministry helped allow Divine Ones to speak to humanity at a time of great need, these Divine Healing Transmissions facilitated by Aurora Juliana Ariel PhD, are designed for the advancement of humanity into an Age of Freedom, Enlightenment and Peace. 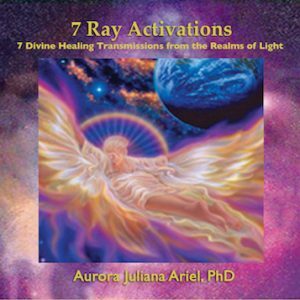 Partaking of them allows powerful healings and timely activations to take place. 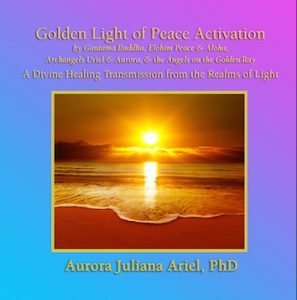 These Divine Healing Transmissions are powerful healing releases resolving soul dilemmas where a shift in perspective is available as Divine Miracles take place. 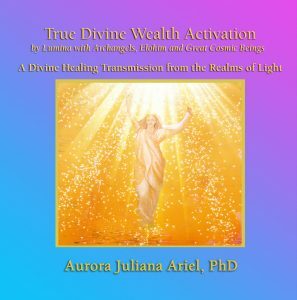 The Temple of Sacred Alchemy is activated and Divine Ones step forth to administer to you that can include your personal angels, Inner Healer, Divine Sponsors, and Higher Self. 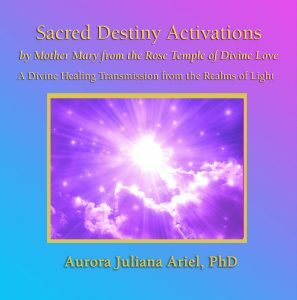 As in ancient times, when Oracles accessed Divine Realms to bring forth timely Healings, Initiations, Activations, Insights and Knowledge… these timely offerings from Realms on High can include Soul Advancing Activations, DNA recoding, Brain Chemistry Balancing, Pineal Activation, Third Eye Opening, Chakra Clearing, Relationship Healing, Self Image Restoration, and more. Powerful, landmark healings can take place. 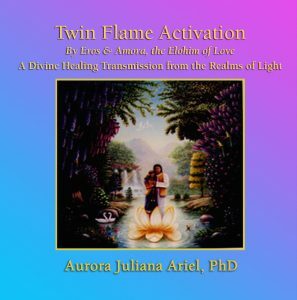 The more open and ready the recipient, the more that can take place, healing family dynamics and patterns and positively affecting everyone in the lineage, while also working at deep levels within the psyche of humanity bringing positive change to Awakening Souls worldwide. 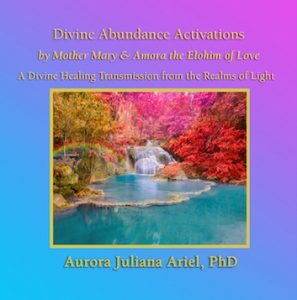 These Divine Healing Transmissions address the challenging configurations that keep you from actualizing your full potential. 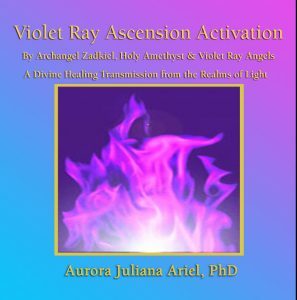 If you’re seeking direction, ready to go the next level in your Life’s Purpose and/or to bring forth your unique offerings, the Activation you receive can catapult you into the next level of your Awakening, Soul Advancement, and Service accelerating you tremendously. 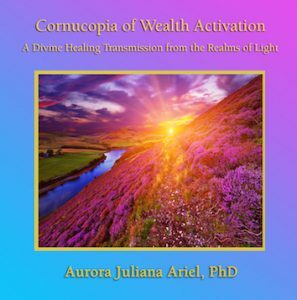 If you’ve been dealing with a condition, situation or relationship you feel trapped in or held back by and are ready to step free, these Healing Activations can give you a safe compassionate forum that motivates clarity and change. 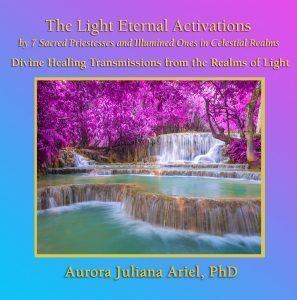 Insightful and dynamic, these healings, activations and clearings can transform the way you see yourself and your situation, bringing you timely insights, while healing the underlying causes to catalyze fast positive change. that are transforming lives worldwide! with a $33 Tax Deductible Donation to our Global Healing Ministry. 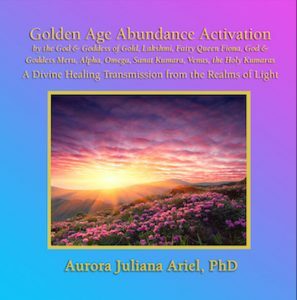 A Powerful Abundance Activation by Amora, the Elohim of Love increasing your Wealth and anchoring the Golden Age on Earth. 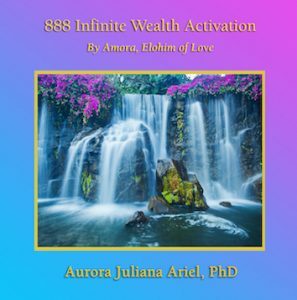 A Powerful Divine Healing Transmission from Amora, the Elohim of Love to assist you in living the Abundant Life and breaking through financial constraints to attaining True Wealth, your Divine Birthright. 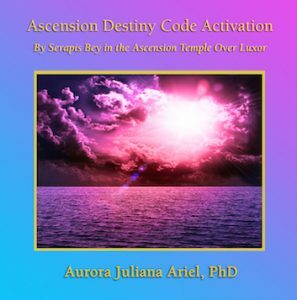 A Destiny Code Activation by Serapis Bey in the Ascension Temple over Luxor to activate the and accelerate the Ascension in you and humanity at this significant time. 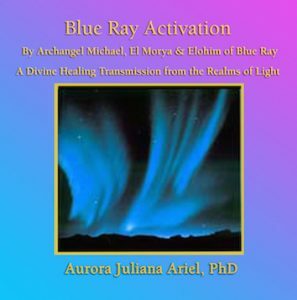 A Divine Healing Transmission from Archangel Michael and his Blue Flame Angels in the Realms of Light. 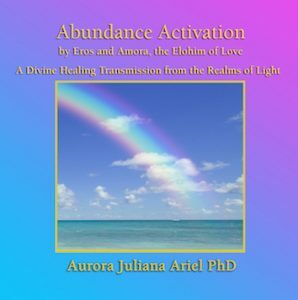 Divine Healing Activations to assist you in living an Abundant Life. 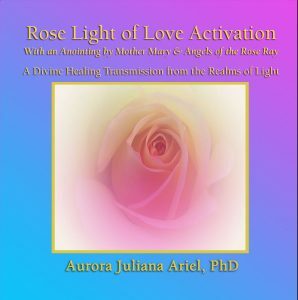 A Divine Healing Transmission from Mother Mary and the Rose Temple of Divine Love in the Realms of Light. 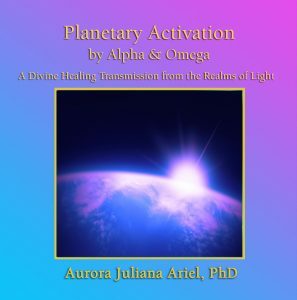 Divine Logos Activation by Alpha and Omega: A Divine Healing Transmission from Alpha and Omega, representatives of Father Mother God for this system of worlds, from the Great Central Sun in the Realms of Light. 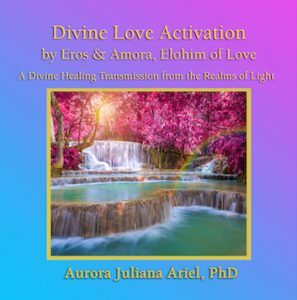 Divine Love Activation from the Elohim of Love: A Divine Healing Transmission from Eros and Amora, the Elohim of Love in the Realms of Light. 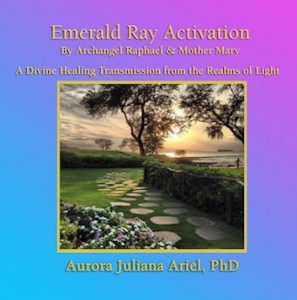 A Powerful Divine Healing Transmission from Archangel Raphael and Mother Mary in the Realms of Light. 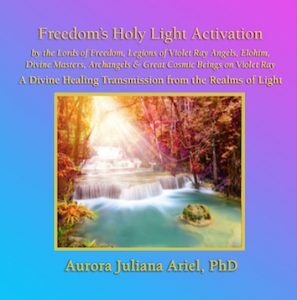 A Powerful Divine Healing Transmission from Lords of Freedom from the Realms of Light setting humanity free. 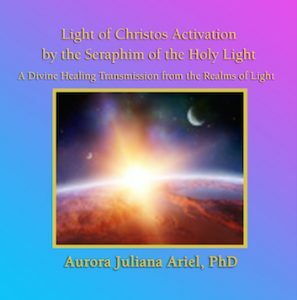 A Powerful Divine Healing Transmission from the Seraphim anchoring the Light of the Christos within the Souls of Humanity from the Realms of Light. 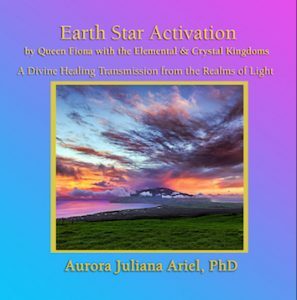 A Powerful Divine Healing Transmission from Alpha and Omega, Representatives of Father Mother God for this system of worlds from the Great Central Sun. 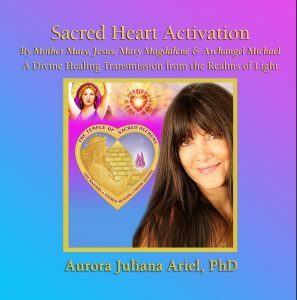 A Light Filled Activation and Special Anointing by Mother Mary. 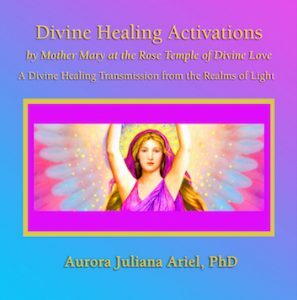 Powerful Divine Healing Transmissions from Mother Mary and the Rose Temple of Divine Love in the Realms of Light assisting you to embody your Sacred Destiny. 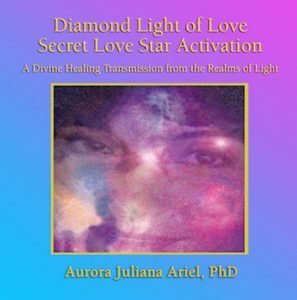 A Divine Healing Transmission and Activation to heal and expand your heart, anchor you in your Authentic Self and accelerate your Destiny Potential. 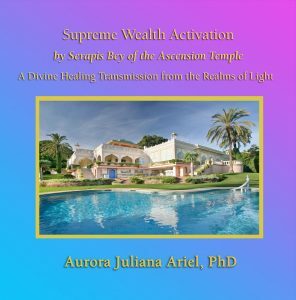 A Soul Accelerating Divine Healing Transmission from Serapis Bey, Hierarch of the Ascension Flame over Luxor, assisting you to embrace the WEALTH that is your True Birthright. 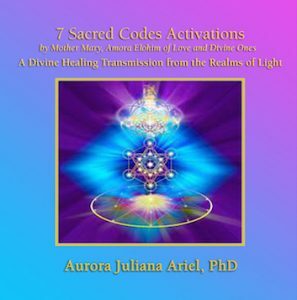 Life Changing Healing Activations from 7 Sacred Priestesses in Realms Divine, a Soul Fire Activation from Illumined Ones in Celestial Realms and a Divine Blessing from a Sacred Sister from the Light Eternal. 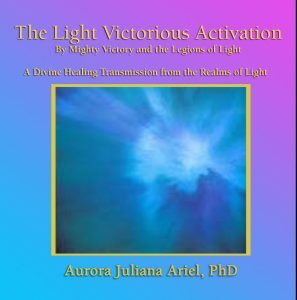 A Power packed Activation by Mighty Victory and his Legions of Light. 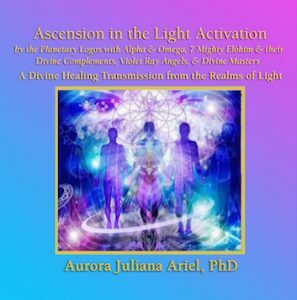 Experience the glorious release of LIGHT empowering your True Divine Wealth by Lumina with Archangels, Elohim and Great Cosmic Beings. 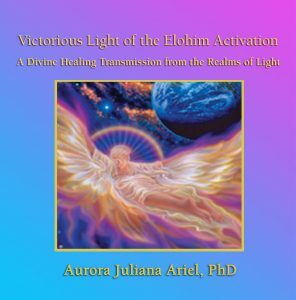 A Divine Healing Transmission from the Elohim in the Realms of Light bringing the Victory for the Earth and all inhabitants. 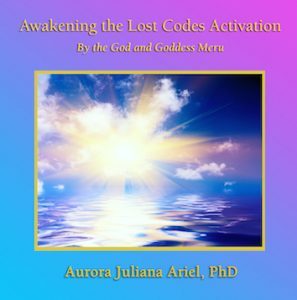 A tremendous Divine Healing Transmission activating the Ascension Codes in the DNA. 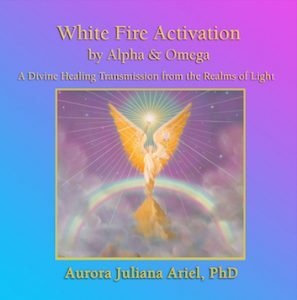 A powerful Healing Activation by Alpha and Omega, representatives of Father Mother God.